Swimwear patterns ordinarily rely on the elasticity of the fabric to follow women's curves. Stepping away from these conventional rules, Tzima is pushing the boundaries of traditional swim by technically developing her own patterns. 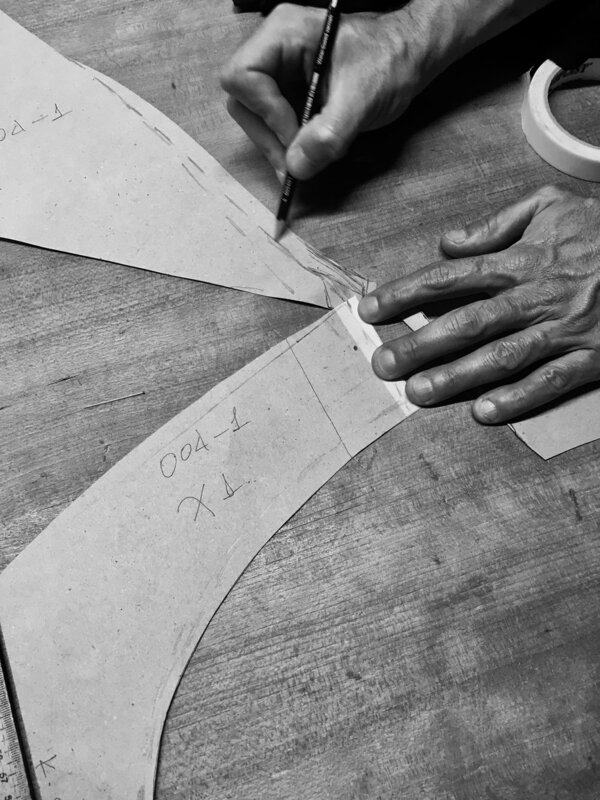 Working with a small team composed of just a tailor and two sewing professionals, each of Tzima's design is tailored and recreated several times in order to achieve new technical solutions, before being finalised. DIDA now follows the principles of couture and is guided by the the three-dimensional element of the female figure, allowing women to wear cut-away pieces whilst feeling supported. Every piece of lace is carefully sourced for the collection and hand-cut individually before being added to the swimwear. Our designs are lovingly crafted and Tzima inspects every piece of clothing herself and personally sews on the Silver DIDA logos to make sure her personal touch is added to every swimsuit that goes out from her atelier. Our swimwear's flattering lines are designed to fit, look and feel great, to empower women when they can feel at their most self-conscious. These include clean structural lines that follow the waistline, and give it a slimmer elegant appearance visually. You will also find high above-the-hip rise bottoms, which will elongate your legs and lace on the hips to make you feel elegant before taking the plunge or while dancing while the sun sets. Based around the concept that you could wear it from day at the beach to night, it aims to blur the boundaries between a playful afternoon with a more seductive evening. DIDA focuses on working with the finest fabrics and emphasising each woman's natural beauty. We only source the finest European materials that respect the skin and allow It to breath. Our Beachwear is made out of Silk and Cotton, while the material for our Swimwear are chosen from the most advanced and ecologically driven companies in Italy, Spain and France. Couture-inspired embellishment such as lace and carefully constructed cut-outs placed in the right places are an integral part of our collections.